The Flat Five are like a fine cocktail, a perfect blend of the finest ingredients all blending together in an orgasmic experience that leaves you wanting more. 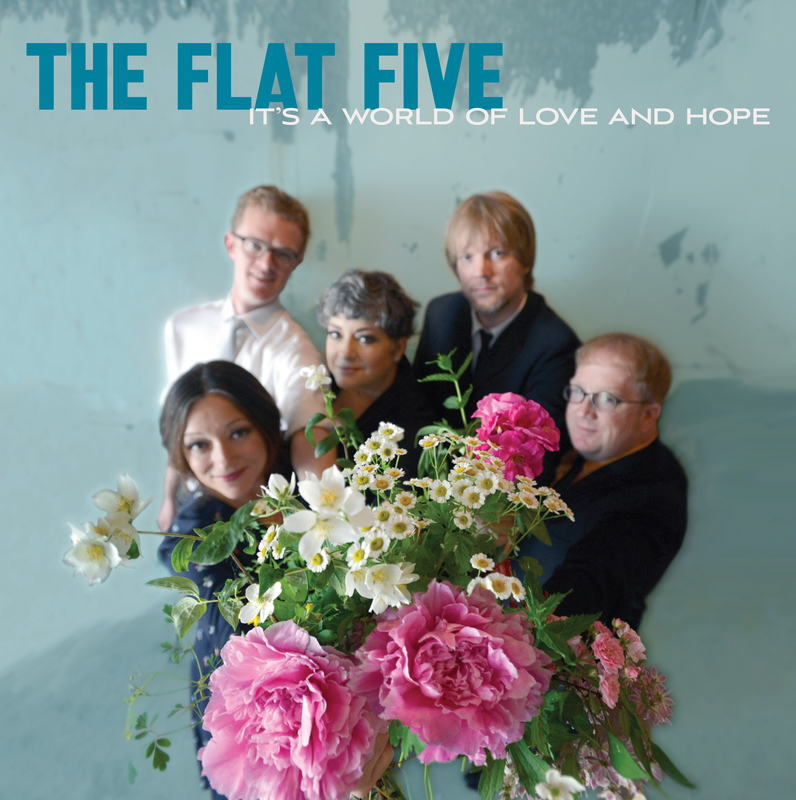 In these strange times The Flat Five rise like the sun, giving us warmth and a bright loving feeling. On October 14th, Augiedisc Records and Bloodshot Records will release The Flat Five’s long-awaited debut album It’s a World of Love and Hope — 12 irresistibly catchy, instantly-hummable, and sweetly twisted pop songs written by long-time Chicago fixture Chris Ligon — and interpreted with great love by five simpatico nerds with massive musical chops — five friends foamy all over with song fever — who are just in it for the joy. It is a world of love and hope. We insist! The Flat Five is a Chicago-based pop vocal super-group — Kelly Hogan, Nora O’Connor, Scott Ligon, Casey McDonough, Alex Hall — made of five in-demand musicians who individually spend much of their time touring and recording with bands like Neko Case, NRBQ, The Decemberists, Andrew Bird, Mavis Staples, Iron and Wine, Jakob Dylan, Robbie Fulks, Alejandro Escovedo, The New Pornographers, and many other heavy hitters. These five folks stay very, very busy. Yet for the past ten years, these shameless harmony junkies came together, like a moth to a porchlight, to make music as The Flat Five. Purely for the love of singing together. For the mother-effing fun of it. 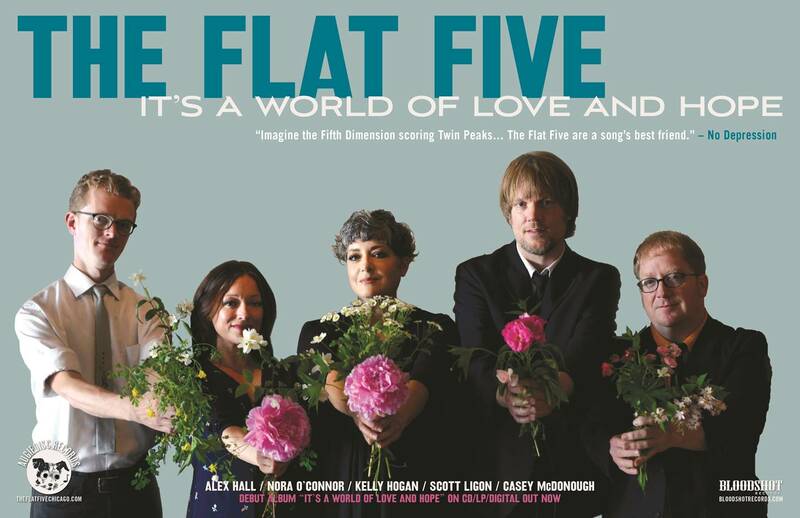 At first The Flat Five existed only as a once-a-year sold out holiday show in Chicago. 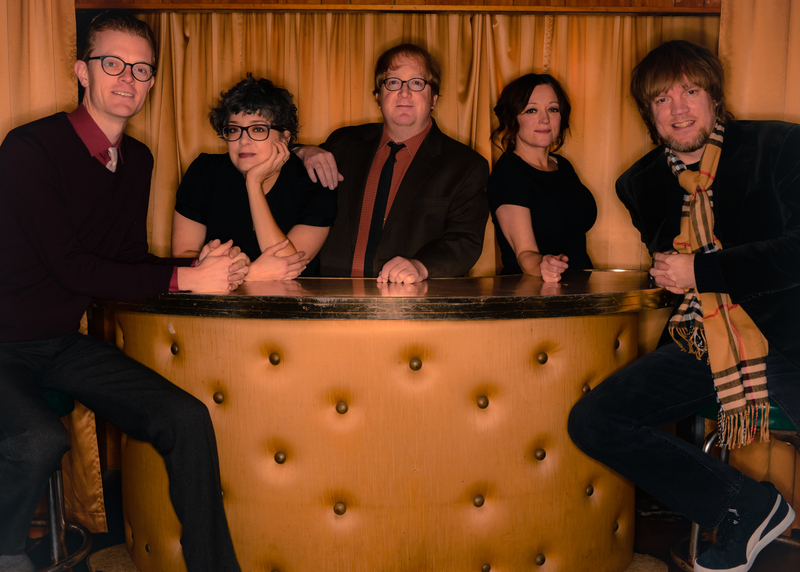 Then came quarterly SRO gigs, and then month-long jam-packed residencies, and then…slowly…the idea for a record grew out of the band’s shared love of the repertoire of genius oddball songwriter and performer (and big brother to band member Scott Ligon) Chris Ligon. The Flat Five were already performing many of Chris’s songs in their set, and thought that making an entire record of his compositions would be a good way to shoot up a flare and give more folks a chance to hear his amazing and unique music. From the laid-back simple to the oddly romantic to the slightly subversive, there is a heart of wide-eyed sweetness coloring Chris Ligon’s songs. The smooth southern soul of “Bottom Buck” will have you kicking off your fringed leather boots by the river to lay back and watch the dragonflies flit past. Beneath the gentle, Donovan psychedelia of “I Could Fall In Love With You” is a love song built on prom-night innocence that’s both goofball and beguiling. “It’s Been A Delight’s” suave Cole Porter-era charms will unbutton the tux and pop the champagne. And if you can keep a straight face and resist the urge to shimmy during the Mills Brothers-styled aphrodisiac romp “Buglight” it might be time to visit the doc, friend. The charms of the album are manifest. 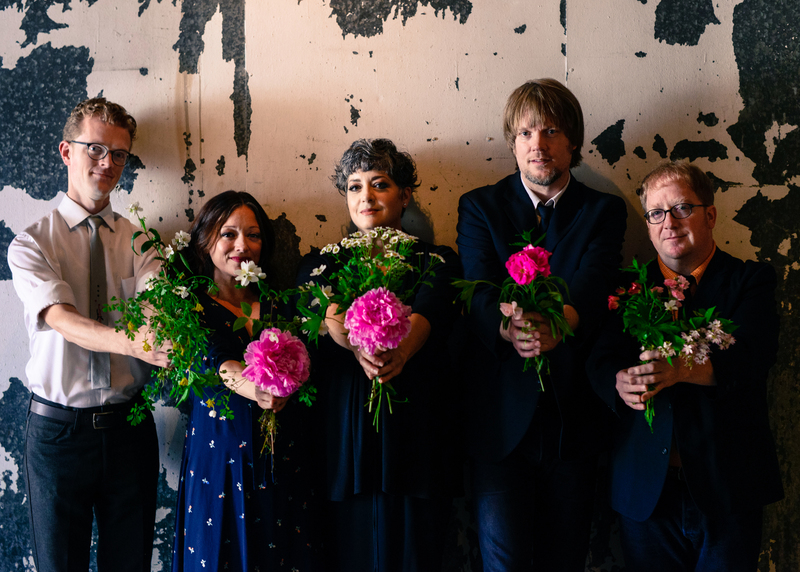 With in-the-pocket and over-the-moon harmonies, the genre-hopping It’s a World of Love and Hope is lovably diverse and hits every stripe on the ROYGBIV spectrum. The many touchstones (a gamut stretching from The Beach Boys and The Boswell Sisters, to Trip Shakespeare and Dr. Dog) were gathered on the shores of late night AM radio and get tossed at the listener with a giddiness that jumps outta the grooves. This is a band that’s made more than a few laps around the roller rink on Saturday night. The Flat Five is a Chicago-based pop vocal super-group — Kelly Hogan, Nora O’Connor, Scott Ligon, Casey McDonough, Alex Hall — five in-demand musicians who individually spend much of their time touring and recording with bands like Neko Case, NRBQ, The Decemberists, Andrew Bird, Mavis Staples, Iron and Wine, Jakob Dylan, Robbie Fulks, Alejandro Escovedo, The New Pornographers, and many other heavy hitters. These five folks stay very, very busy. 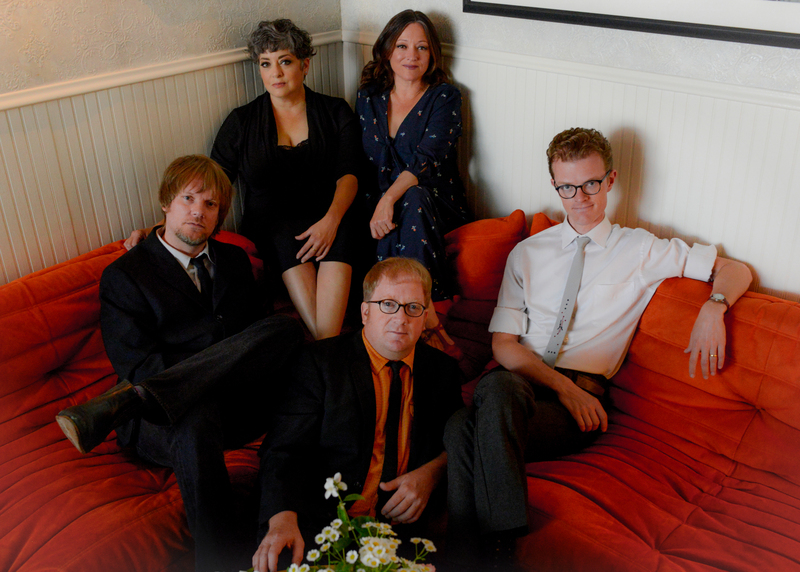 Yet for the past ten years, these shameless harmony junkies would come together, like a moth to a porchlight, to make music as The Flat Five. Purely for the love of singing together. For the mother-effing fun of it. Ligon hears something almost spiritual about the group's vocal interaction. "We have lost the importance of what singing harmony with other human beings means," he says. "It's something that is really important in society, a good example of people working together to create something beautiful. Now that I have this with these friends of mine, I can't live without it." From the laid-back simple to the oddly romantic to the slightly subversive, there is a heart of wide-eyed sweetness coloring Chris Ligon’s songs. The smooth southern soul of “Bottom Buck” will have you kicking off your fringed leather boots by the river to lay back and watch the dragonflies flit past. Beneath the gentle, Donovan psychedelia of “I Could Fall In Love With You” is a love song built on prom-night innocence that’s both goofball and beguiling. “It’s Been A Delight’s” suave Cole Porter-era charms will unbutton the tux and pop the champagne. And if you can keep a straight face and resist the urge to shimmy during the Mills Brothers-styled aphrodisiac romp “Bug Light” well, friend — it might be time to visit the doc. The charms of the album are manifest. 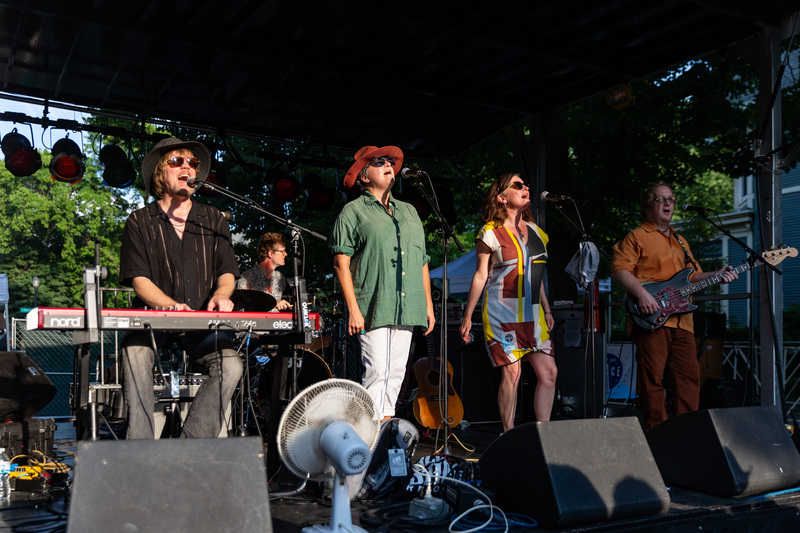 With in-the-pocket and over-the-moon harmonies, the genre-hopping It’s a World of Love and Hope is loveably diverse and hits every stripe on the ROYGBIV spectrum. The many touchstones (a gamut stretching from The Beach Boys and The Boswell Sisters, to Trip Shakespeare and Dr. Dog) were gathered on the shores of late night AM radio and get tossed at the listener with a giddiness that jumps outta the grooves. This is a band that’s made more than a few laps around the roller rink on Saturday night.